Tech labor and skills acquisition challenges are interfering with businesses eager to capitalize on IoT's many benefits. Many businesses are eager to capitalize on the many benefits of the fast-growing internet of things (IoT). But as IoT continues to develop, tech labor and skills supply-and-demand constraints will interfere with businesses' efforts to make the most of the digitally driven business opportunities associated with IoT. 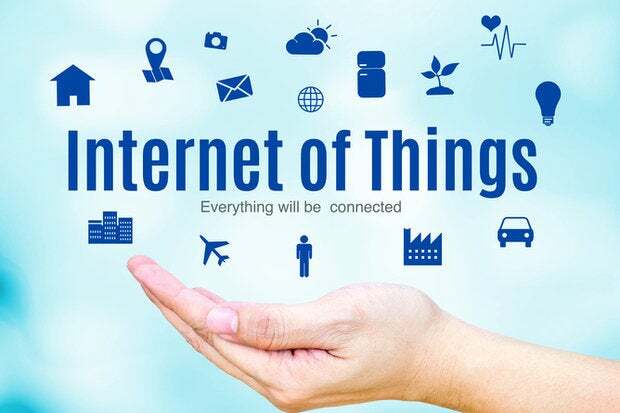 To help companies prepare for the opportunities IoT will present, Part 1 of this series looked at key jobs and skills in two areas: the "things" side of IoT and the connective tissue between the "I" and the "T."
In Part 2 we focus on three more hot labor segments which will put businesses in a position to make the most of IoT: big data, IoT cross-skilling (of hardware and software professionals), and an assortment of skill specialties with big IoT payoffs. IoT devices will work by collecting vast amounts of data and analyzing them, ensuring fast communication and quick solutions. Big data will therefore be a major force that will drive the internet of things in the future. Even if your company doesn't appear to be a likely candidate for using big data, chances are if it is using an IoT device, it will need to have at least some functional knowledge of big data. And if your company is developing IoT devices, it will want to design them with data in mind so that they can function properly and efficiently. Having big data skill sets in-house right now is particularly useful and valuable since there is currently a shortage of seasoned professionals with deep big data experience. Companies building an IoT workforce need to seek out workers who have demonstrated knowledge of technologies often used in conjunction with big data. Apache Hadoop and related modules (HDFS, Hbase, MapReduce, Flume, Oozie, Hive, Pig, HBase, YARN). Apache Hadoop is the Java-based open-source software framework used for distributed storage and processing of very large data sets. It can be implemented on networks that are built on large scales at a very low cost. NoSQL and NewSQL. Understanding of database management systems is critical in IoT. As businesses expand into various dimensions, the need for scaling database management systems will increase in comparison to old-school relational database management systems. NoSQL and NewSQL provide an alternative scale-up database management system to the traditional DBM solutions. Apache Spark. A powerful open-source big data processing framework built around ease of use, sophisticated analytics and speed, Apache Spark enables applications in Hadoop clusters to run up to 100 times faster in memory and 10 times faster running on disk. It's ideal as a comprehensive, unified solution for managing big data processing requirements involving a variety of data sets that are diverse in nature (text data, graph data, etc. ), as well as the source of data (batch vs. real-time streaming data). Machine learning and data mining. Massive data sets in the internet of things make networks too complex to be dealt with, tracked or analyzed by humans. An IoT team developing enterprise-grade projects will need to be good at machine learning and data mining techniques to be able to handle the huge data sets effectively. IoT encompasses such a broad range of technologies that software developers will most likely have to program in a number of languages. Low-level assembly or C/C++ programming will be required for embedded systems. At the same time, higher-level languages such as Node.js and Java will be needed for devices with more available resources. In addition, communication protocol skills will be vital, because an IoT device is nothing if it can't share its data. Most likely, it will be the basics. Software pros won't be designing the next revision of a product's printed circuit board (PCB), but it would be useful to be able to build out a circuit on a breadboard for prototyping. Understanding basic electronics will be valuable. Software developers should know how basic components like resistors, capacitors and LEDs behave in a circuit. Other important skills for software developers might include reading data sheets, understanding timing diagrams and clocking, electronics concepts such as pull-up and pull-down resistors, Hi-Z, active-low and active-high, and logic gates and transistors. Hardware professionals will be designing the next revision of a product's PCB. They'll be selecting and integrating microprocessors, sensors and radio interfaces. Like their software engineer and developer counterparts, their work will cover everything from low-power embedded devices to high(er)-power, high(er)-resource devices. Hardware developers in the IoT world could also find it useful to know software basics. The goal is not simply to build out quarter-million-line source code bases complete with an underlying build system, but rather to gain an appreciation of the requirements of the other half of a development team. For example, software prototyping skills. High-level languages such as Node.js or Java are excellent starting points for people new to programming. They're easy to learn and benefit from some useful features like automatic memory management. Hardware engineers could advance their skills further by studying C and C++ and managing process memory manually, or understanding how a sensor can be read in software. This kind of knowledge will help hardware developers appreciate the importance of building their components with software flexibility in mind. One example: providing flexible I/O options so that the software team has more options available to them when they are building out the software that sits on top of the hardware team's work. The communications piece is critical with IoT products; there are a lot of moving parts in this area, as wireless protocols and standards are continuously evolving. Depending on their end product, many design engineers already possess a base knowledge of communications technologies and protocols. It's important that they stay up to speed on evolving standards and technologies while developing a base familiarity with issues such as noise and interference that will become part of standard design exploration. But also, it's important in the IoT world to be able to explain ideas or concepts effectively through multiple means, including writing, speaking, gestures, pictures, diagrams or stories. Hot skills: Developing communication interfaces, existing communication technologies, protocols or newer fault-proof technology and protocols. Seeking and recognizing patterns; some companies make a point of sprinkling liberal arts degree grads throughout their IoT hiring plans due to their pattern-seeking ability. Thinking "outside the box" rather than in a linear or logical fashion has been a staple of successful businesses for decades. In the IoT world, so too will huge advantages be created from joining or connecting ideas and facts from different experiences. Individuals with an ability to transpose observations across unrelated domains will be increasingly sought after and rewarded handsomely as IoT evolves. The versatility of the IoT is one of the main reasons it is estimated to add so much value to the economy. IoT devices can be used in nearly every industry, whether through development, adoption or a combination of both. IT pros who know how to collaborate with people in different industries will suddenly find themselves in more demand. With this in mind, companies will need to make sure their training is diverse enough that it can be applied to numerous different businesses. Hot skills: Bringing together people with a diversity of knowledge to solve complex problems. Actively integrating knowledge or strategies of others though they may differ from your own. Impatiently diving into new technology-enabled opportunities for increasing revenues, profitability and customer satisfaction is a fact of life in the highly competitive world of business. Not properly addressing staffing and people management requirements in the early stages of internet of things initiatives could sap momentum and produce disappointment. Many of the key IoT roles and acquired skills outlined in this blog series will more often come from highly focused internal development and training than from new hires and consultants. Smart employers will assess their organizational readiness and make adjustments well in advance of serious time and money investments in IoT.